"They have a good car, they do not seem to be getting the maximum potential," says Hamilton. And Toto Wolff: "We have three doublets but that's not the picture". At Mercedes they still see Ferrari as a rival for the first races of the season, despite the three consecutive doubles. They think that, beyond the execution of the weekend and everything that goes with it, the SF90 is a good performance car, and that when the Maranello team can meet in all areas (configuration, reliability, race strategy ...) , the results can arrive. 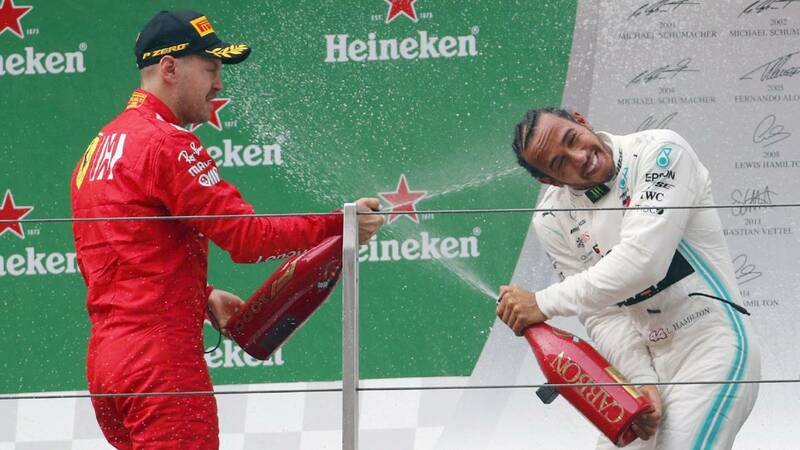 In this regard, Lewis Hamilton: "We are operating with what we have the most potential, and there will be more performance and improvements in the future, we will take a step forward." In the last race we were fast enough to win , but there were things that happened and you have to put yourself in a good position to take advantage of them.We did it.The others have a good car, The Ferrari is a good car, but it does not seem that they are getting the maximum potential and the execution is not a "We all have ups and downs." Toto Wolff, team leader, keeps reminding that in the pre-season tests they were half a second or for the return of the Italians, and they had to completely redesign their aerodynamic Pack for the second week: "The third day of that second week we started to see results and already in the room we did a time that was encouraging, but nothing more. Melbourne was a surprise, in Bahrain Ferrari we were not fast enough. Ferrari had to win by pure services, but even though we have three doublets, this is not what we are seeing in the photo. Ferrari is very strong and we hope to fight with them for pole positions and victories. "